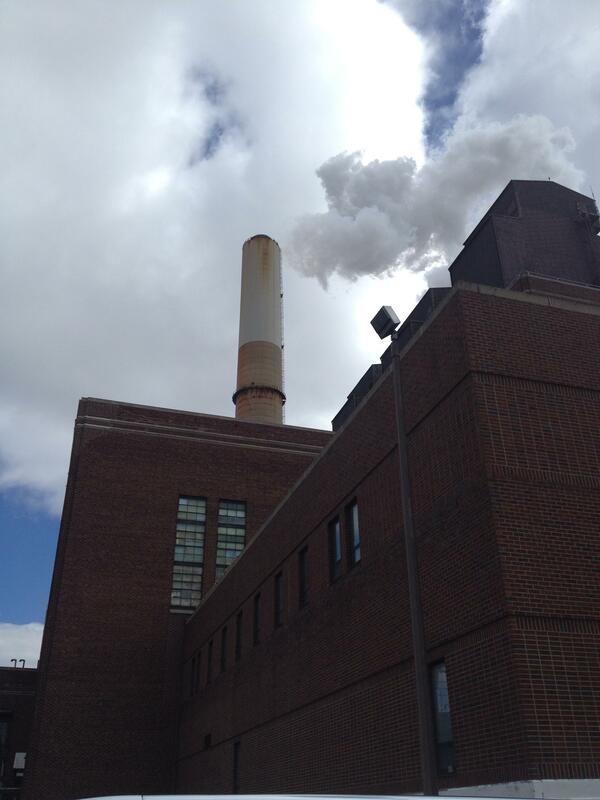 Consumers Energy's now-closed BC Cobb Power Plant. The plant was closed in 2016. 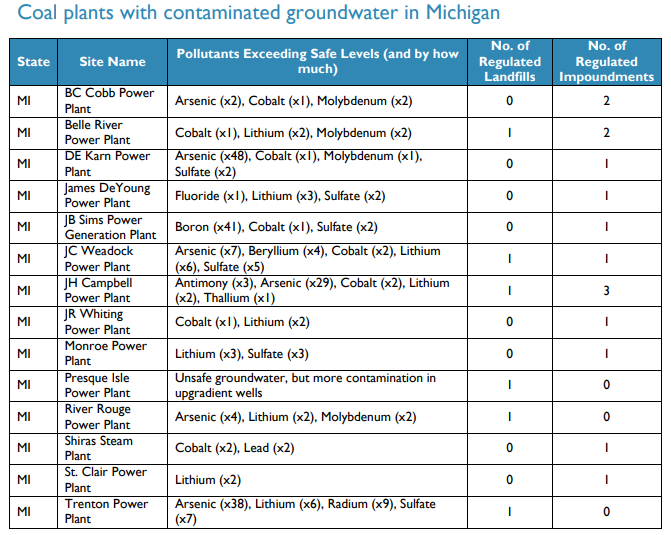 A new report says the groundwater at some of Michigan's coal ash storage sites is contaminated with toxic chemicals, especially arsenic. The report compiled data that's required by a new federal rule, which mandates testing, disclosure, and cleanups if necessary. The report notes Consumers Energy disclosed arsenic levels 48 times the federal safety standard at the D.E. Karn Power Plant, and DTE Energy disclosed arsenic levels 38 times the federal safety standard at its Trenton Power Plant. Charlotte Jameson of the Michigan Environmental Council calls those levels "alarming. But DTE Energy's Eric Younan says there have been no releases to groundwater at its coal plants except for the River Rouge Power Plant, and a groundwater collection system was installed there to correct the problem. He says aside from the River Rouge plant, the utility's coal ash units are protected by a natural clay liner system that prevents any release to groundwater. Elevated levels observed in detection monitoring does not mean groundwater protection standards are being violated and does not mean the public's drinking water is contaminated or that a health risk exists. Rather, these are data collected at the edge of the disposal unit and simply mean that the facility must take the next step under the rule and initiate an assessment monitoring program to determine if the facility is having an impact on groundwater. Jameson says there are some other problems with coal ash monitoring. While there is a disclosure and cleanup rule now (it was adopted in 2015), it only applies to open coal ash storage sites. She says "legacy" or closed coal ash dumps do not have to be monitored under the rule. "We really don't know a lot about how they closed those," says Jameson. "Or if they did any sort of monitoring or cleanup of groundwater, or where those sites even are." Consumers Energy did not respond to an interview request in time to be included in this story. Editor's note: Consumers Energy and DTE Energy are corporate sponsors of Michigan Radio. From the Environmental Integrity Project report on coal ash.